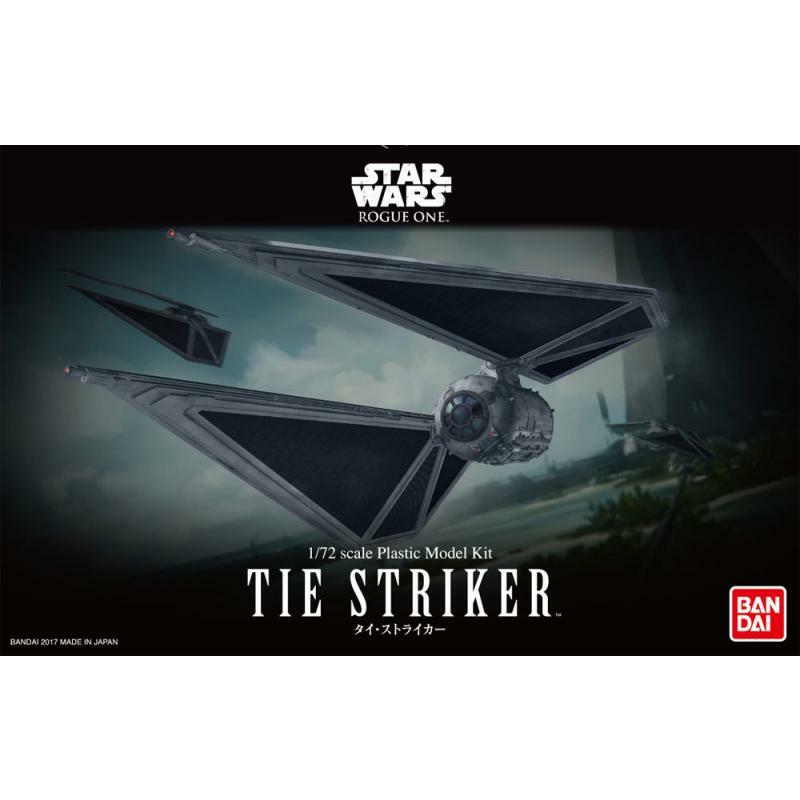 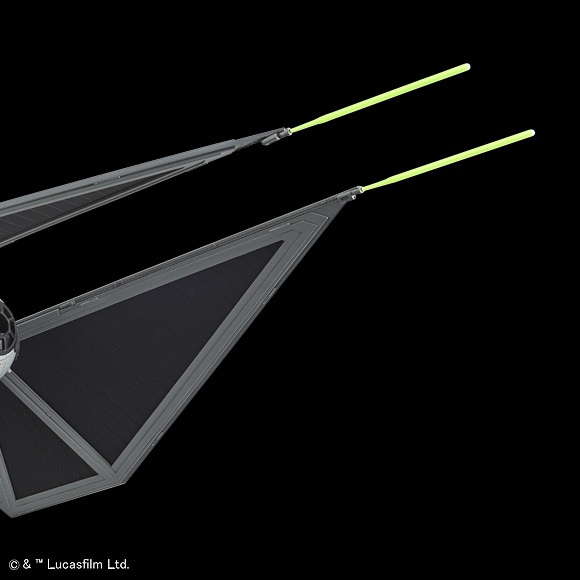 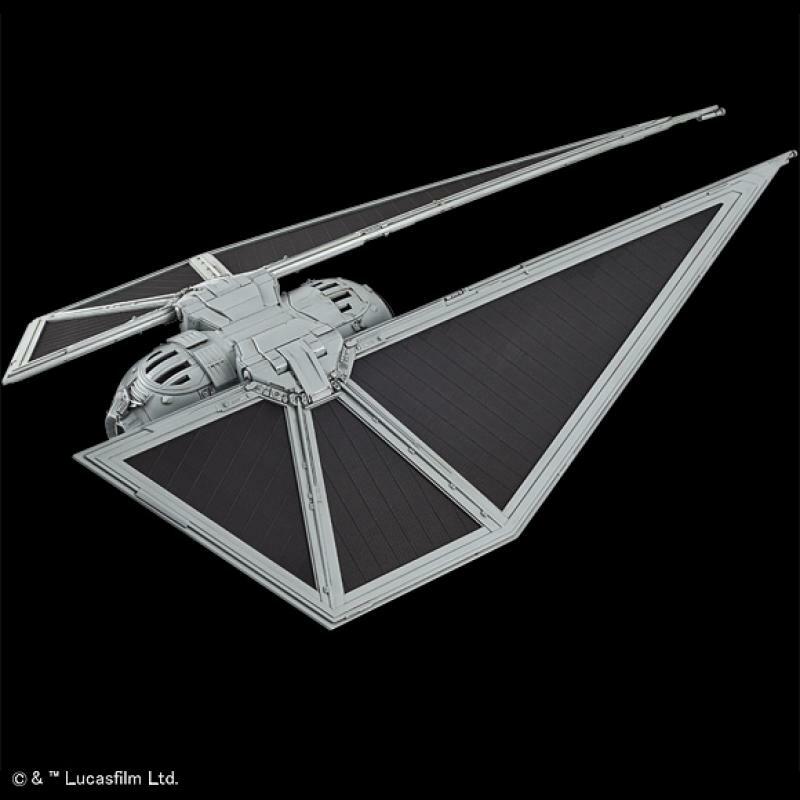 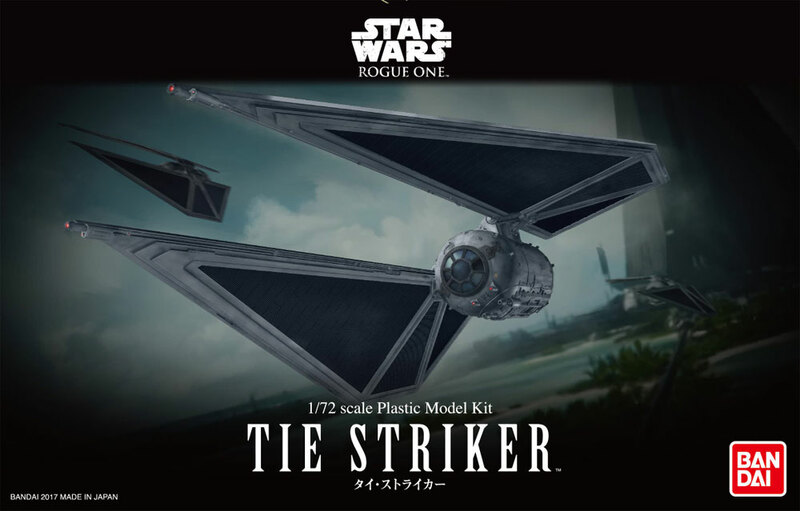 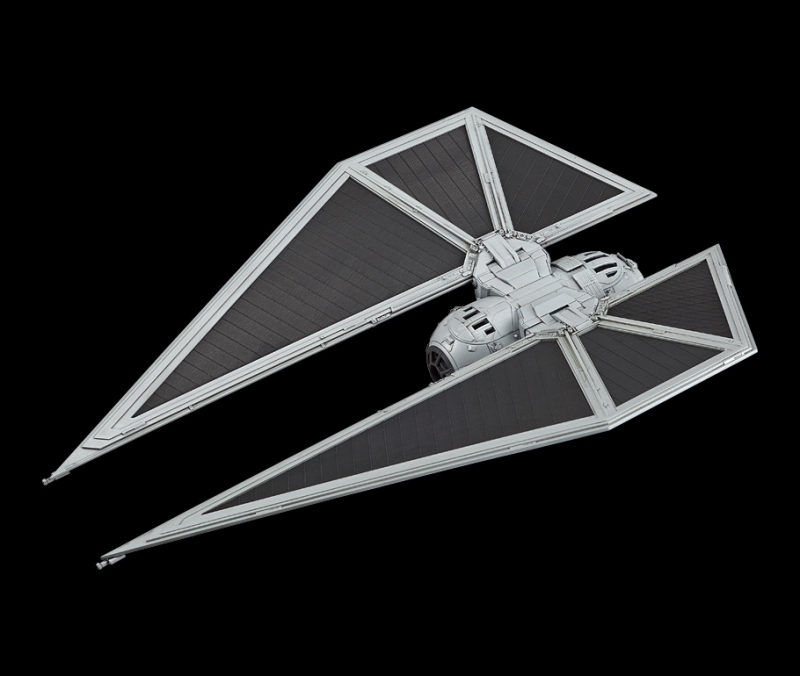 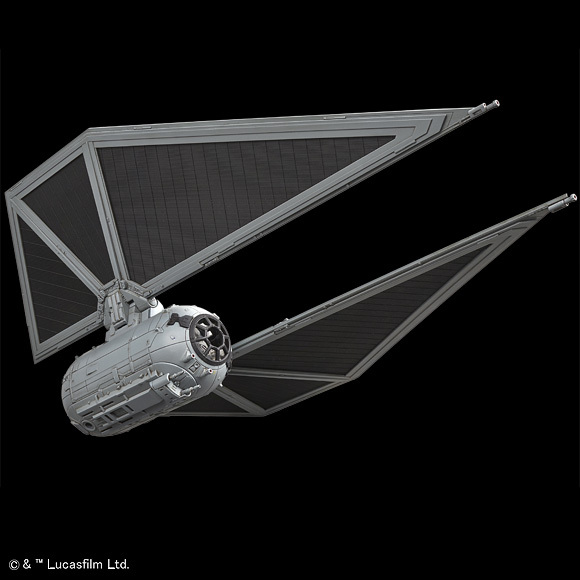 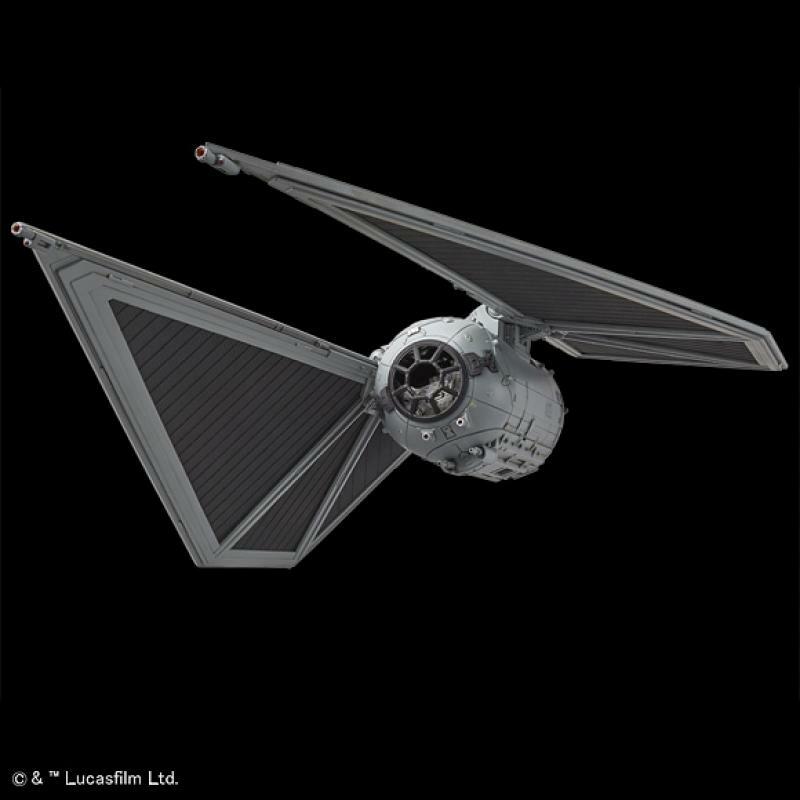 From the movie Rogue One: A Star Wars Story comes a model kit of the TIE Striker! 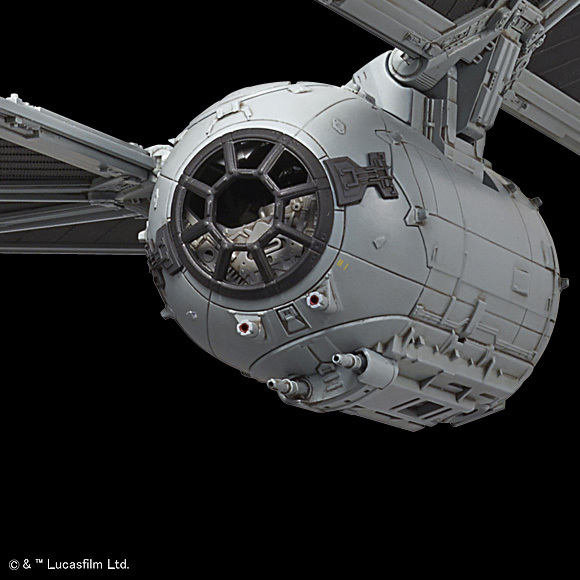 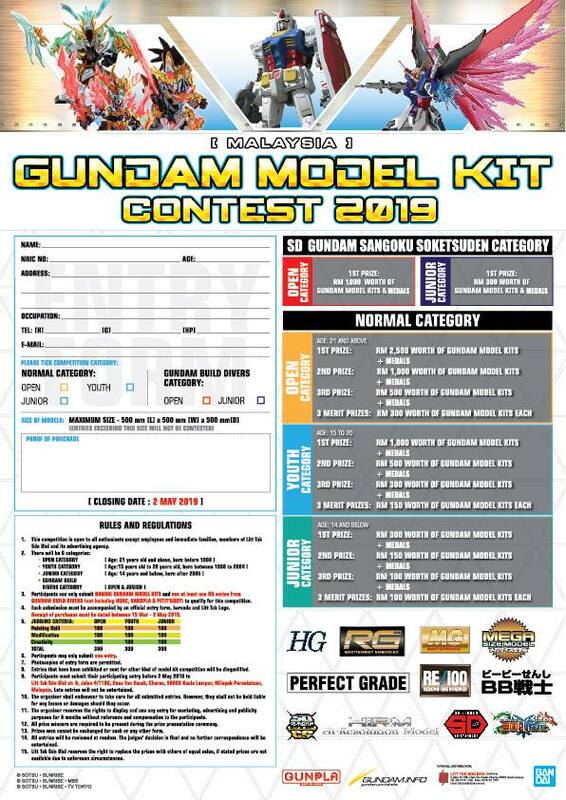 Bandai used their color injection molding technology to create this model kit, so no painting or glue required! This space vehicle has been faithfully recreated in 1/72 scale and includes articulated 9-inch long solar panels and a bonus opening hatch. 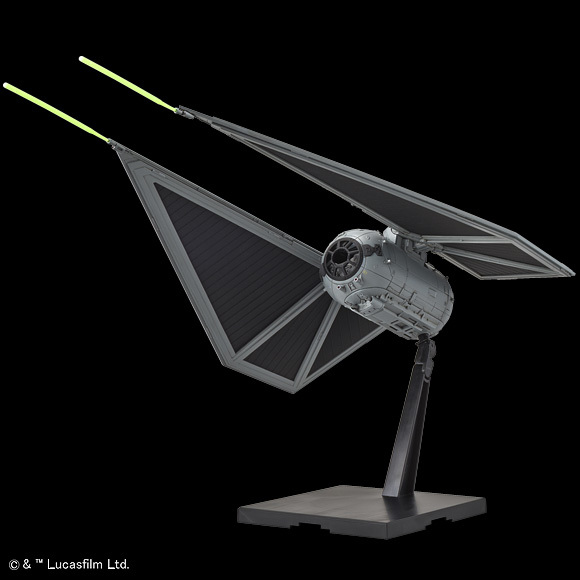 This set includes a display stand, 2 laser effect parts, 2 view port options featuring clear plastic or exposed frame, and a seated pilot. Color injected molding; no painting or glue required! 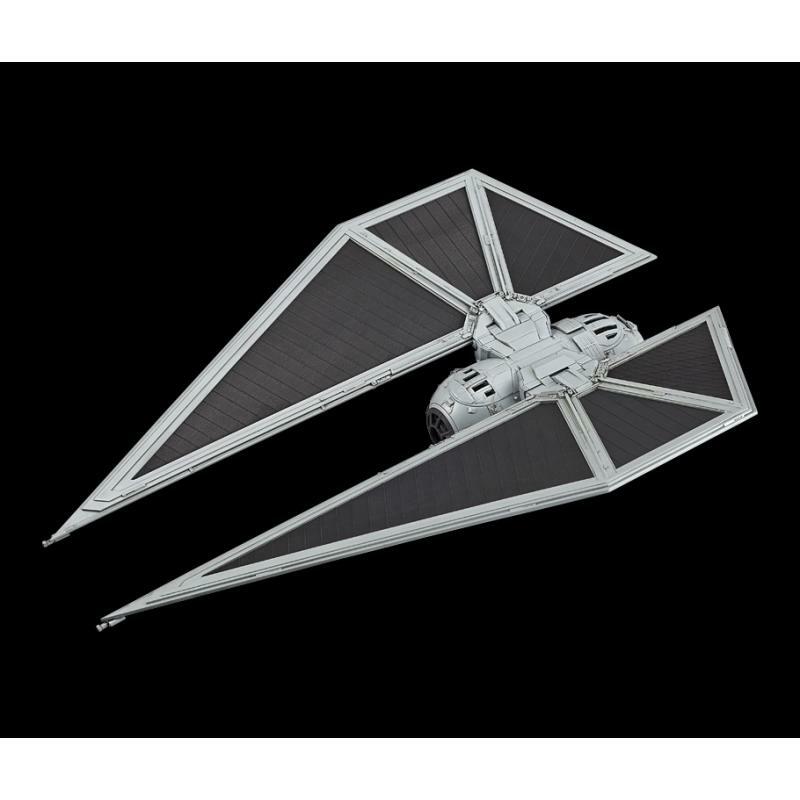 Features articulated solar panels and hatch with either clear plastic or exposed frame options!